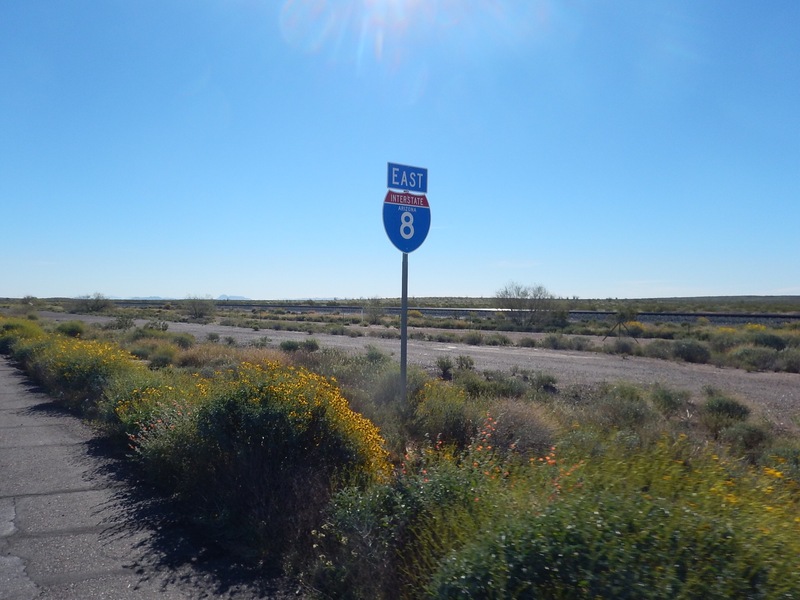 Today, as we head East, we experience 35 miles of Interstate 8. The road is smooth, fast and quite scenic. The truckers are respectful of the bicycles and move to the left lane when they can. With the speed limit at 75, we appreciate this courtesy. 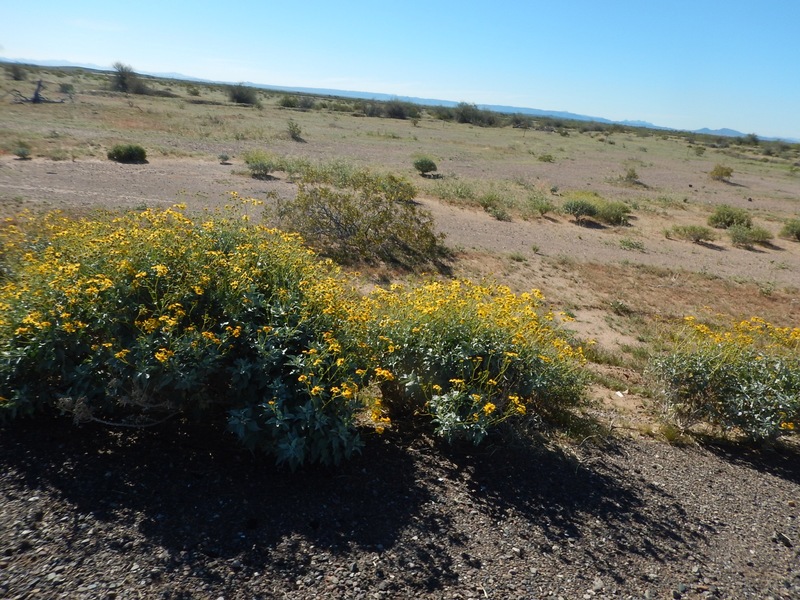 There are beautiful mountain vistas and wildflowers growing along the roadside. The train theme continues as well. 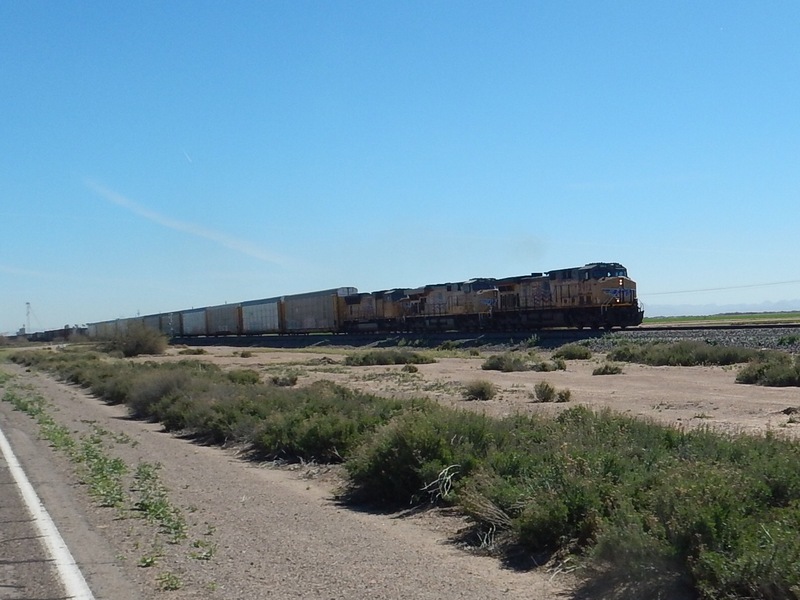 We heard them every 15 minutes or so from our campsite last night, and we see quite a few very long double stacked trains along our route. 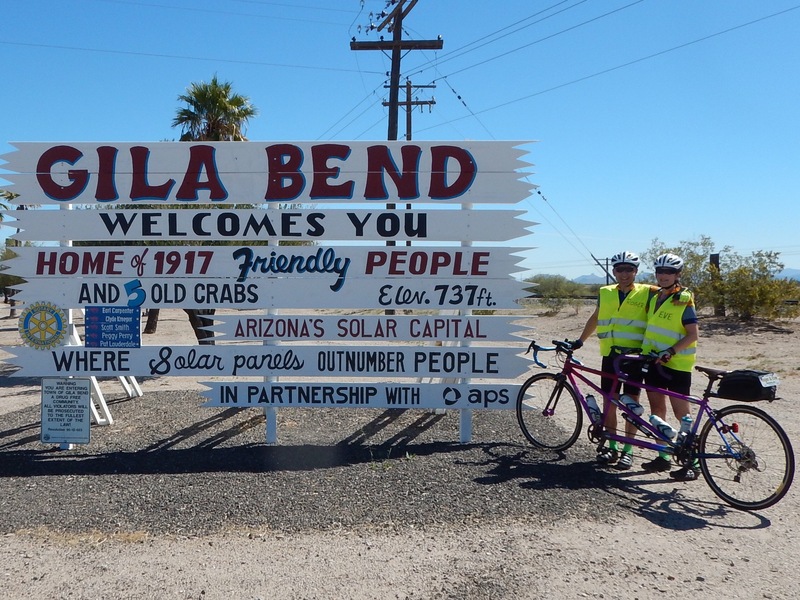 We arrive in Gila Bend, our overnight city. You have to love a city with a sense of humor. Lunch comes with 3 miles left in our 52-mile ride. 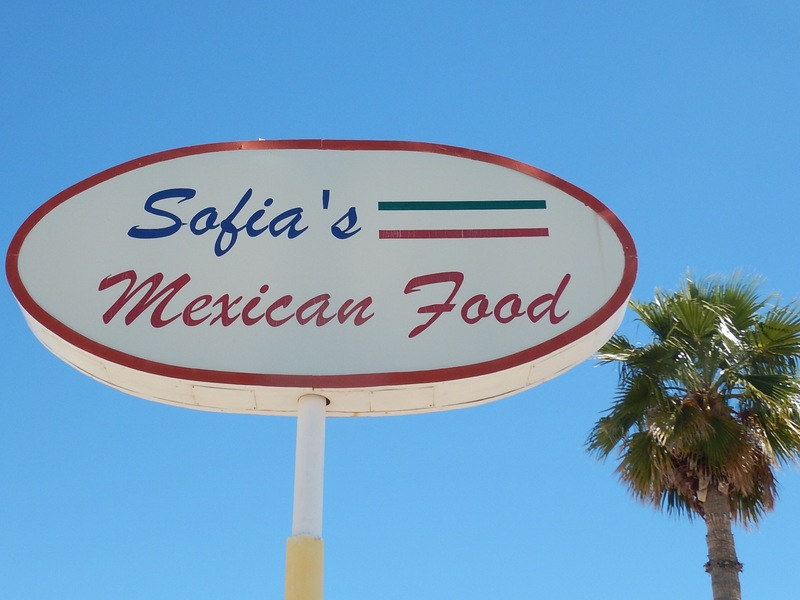 It’s at Sophia’s, which is billed as Bubba’s favorite Mexican restaurant. We are less than a week into our trip and one thing we have already learned is that if Bubba says the food is good you can bank on it. 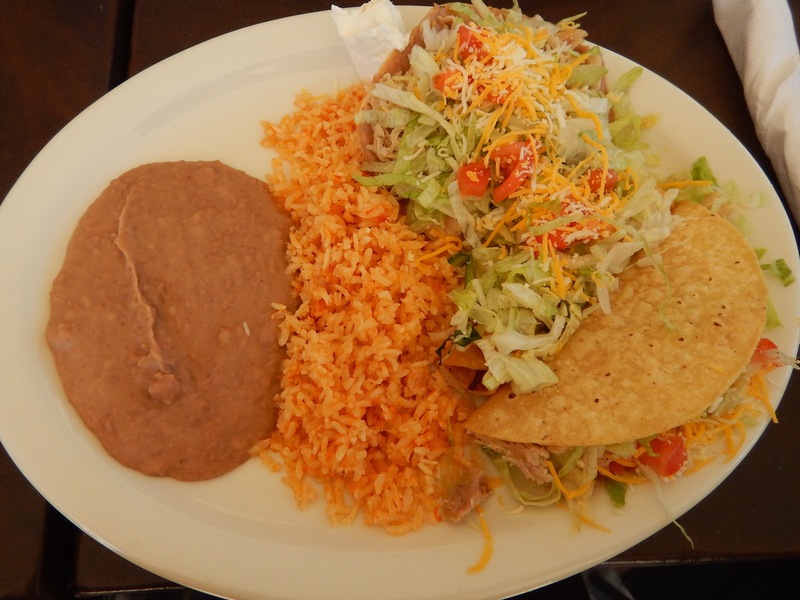 We each enjoy a combination plate and note that Bubba is probably right…it’s pretty darn delicious! Tomorrow: Our longest ride of the tour, and our longest of the year! Bubbas motto … it’s all good! Bubba is a big guy! All is good when a man that large truly looks like he is enjoying himself. 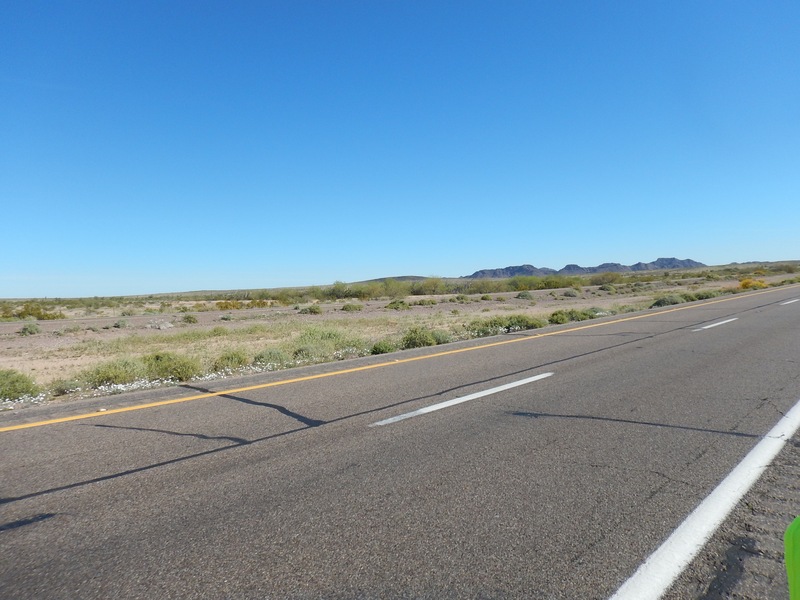 We have gotta stop at Gila Bend. That sign was a “knee-slappa” kind of funny! Wind stats are a nice addition. is a state in Mexico. 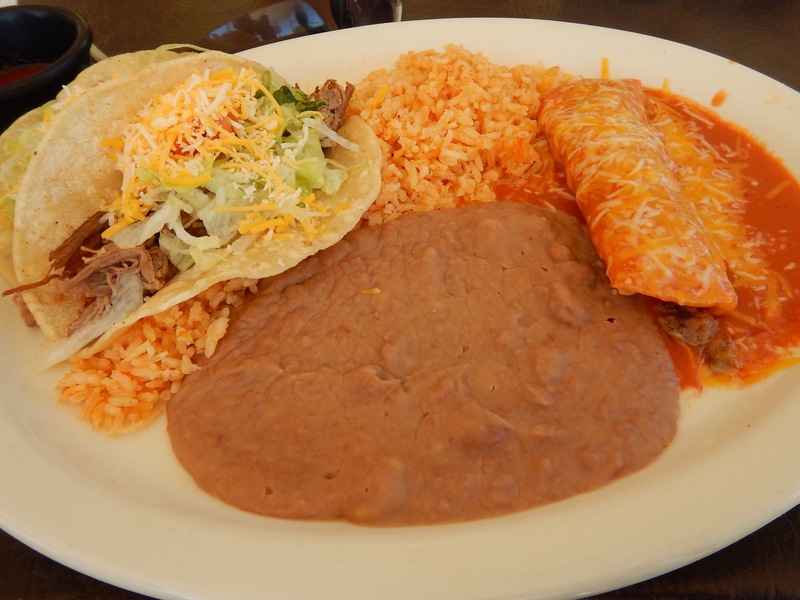 Rolled Sonoran tacos and tortillas are delicious. 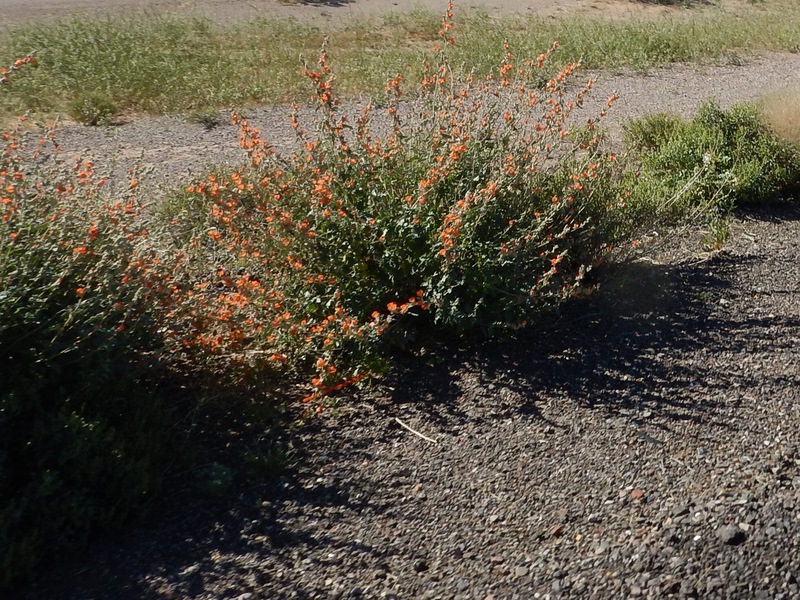 The desert blooms in February, and the tops of each cactus has flowers.Tiny cactus wrens live in the holes you see. 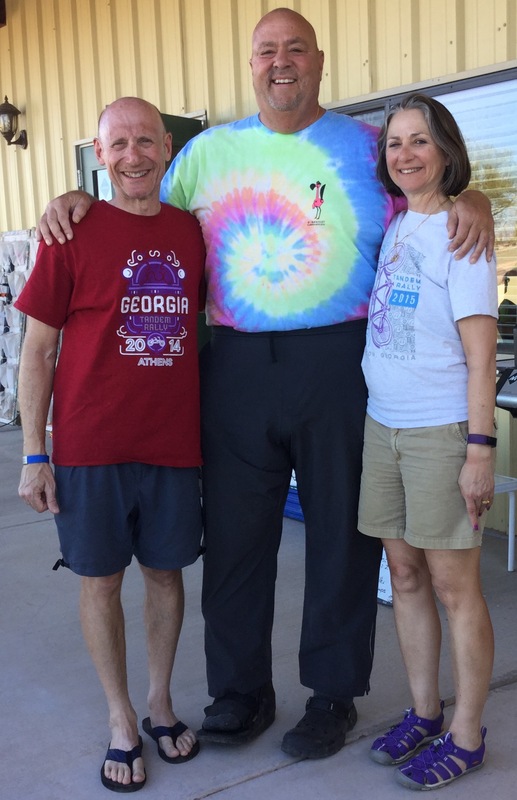 Love the blog and following along on the ride! Looks like such fun. And good food too! Congrats!! You’ve been on this great adventure for a whole week already! As I read your daily notes, it reminds me of when I worked at the Kennedy Space Center. During a shuttle launch I would go outside to experience the excitemement and feel the sound waves (hearing them too, but there’s nothing like feeling the rumble in your chest). The analogy is this – after launch I would go back inside to my office and I would always think, ‘OK, They will have orbited the earth in the next 45 minutes – what will I have accomplished? !’ Am so impressed with what you guys are accomplishing! Great job! He’s big, but very friendly. Bubba doesn’t ride. He shepherds his flock across the country. Thanks for the tips. We will try to get there.